Despite tweets and speculation to the contrary, Ultimate Spider-Man writer Brian Michael Bendis would like you all to know one thing: He's really not involved with the writing of the Spider-Man movie reboot. Honest. [I] see quite a few web sites completely making stuff up that i never said or hinted at. i did not say i was now the writer of the movie. the movie has a writer and a damn good one. 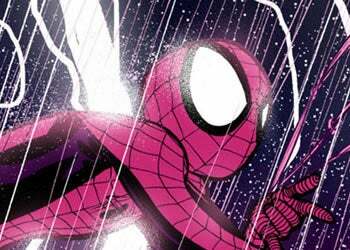 and as was just announced i am writing my own movie for universal based on my GN fire (on sale now ) all i said was i had an interesting morning over there in spidey land. and i did!! speculation is all fun and good, rumor? sure, but there's a difference between that and completely making stuff up. on a slow nerd news day, i could almost understand it, but you had all this weird dc news to make stuff up about.